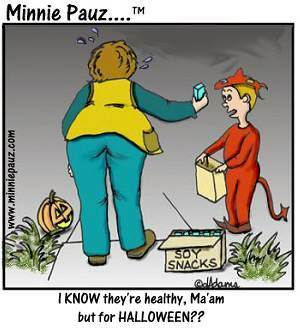 minniepauz.com - For Grandparents Only! You are here: Home // Fun // For Grandparents Only! I wasn't sure if I was going to enjoy being a grandparent, but Holy Moly--I LOVE it!! They are such precious beings and it's totally different than raising your kids! 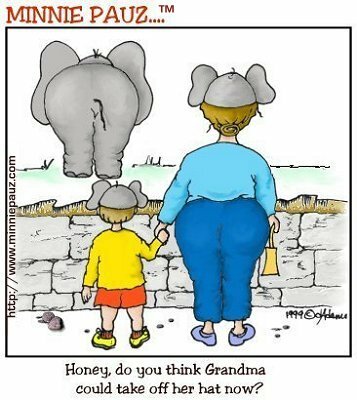 On this page I hope to share some of the humor I've found with my grandkids (6 for now) and some other things along the way. Whether you admit it or not, as middle age hits, we seem to forget a few things and we have come to identify this momentary loss as a "brain fart". 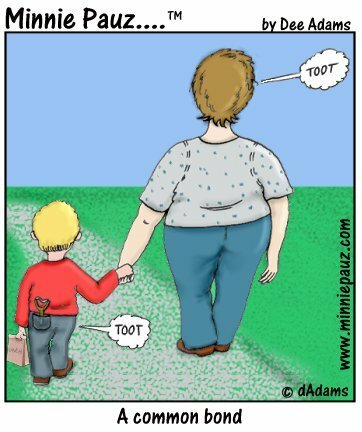 Just as this cartoon shows, this gives me and my grandson a common bond. What happens when you try to get the grandkids to eat healthy? I've actually had good luck because my kids were doing it from the beginning. Not too much sugar, etc., but I did find that they were giving the kids the juices that were nearly pure sugar so I got them used to drinking flavored water. Much better and now the kids sometimes turn down soda because it's too sweet. Grandma hit a home run on that one! Oh the things we do for our Grandchildren!! This cartoon says it all, doesn't it?